Oxford University Press, USA, 9780199644957, 880pp. The Oxford Textbook of Old Age Psychiatry, Second Edition, previously called Psychiatry in the Elderly, is an updated and revised version of this popular and highly respected textbook. The book has established itself as the standard textbook in its field due to its unique combination of comprehensive coverage, clear writing, and authoritative and up-to-date information. This new edition maintains these strengths, with chapters covering the basic sciences underpinning old age psychiatry, clinical practice, psychiatric services for older people, specific disorders, and medico-legal and ethical issues. This new updated edition involves 96 contributors from around the world bringing a truly global perspective to the textbook, and highlighting both the common burdens and the differences in management from country to country. New chapters have been included to reflect the development of old age care, covering palliative care, ethics of caring, and living and dying with dementia. Chapters have been revised and updated throughout with expanded chapters including those on brain stimulation therapies, memory clinics and services, and capacity, which has been extended to include all mental capacity and decision making. 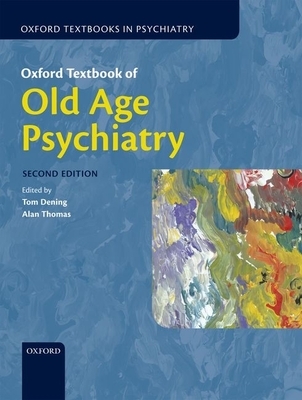 Broad in its coverage, written by experts in their fields, and maintaining a clear structure throughout, the new second edition of the Oxford Textbook of Old Age Psychiatry is the essential reference for all old age psychiatrists as well as all those interested in the mental health care of older people.